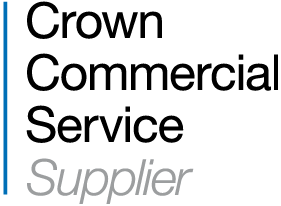 exeGesIS is a Crown Commercial Services (CCS) Supplier, having been awarded places on the G-Cloud and Digital Outcomes and Specialists frameworks. They can be used by organisations across the UK public sector including central government, local government, health, education, devolved administrations, emergency services, defence and not-for-profit organisations. The G-Cloud framework is for the purchase of commodity based IT services, allowing clients to pay for the services as they use them. This is the second year we are offering Software as a Service (SaaS) options through the G-Cloud framework. For G-Cloud 6 we expanded the range of software we are offering, now including our CMSi, CAMS and HBSMR products as cloud hosted services. We also offer Specialist Cloud Services (SCS) in website, mobile and desktop technology cloud application build and configuration, based upon our main areas of expertise. These cover the enhancement and extension of our CMSi, CAMS and HBSMR SaaS options to meet specific client needs. The Digital Outcomes and Specialists (DOS) framework is for the purchase of specialist digital services. Though this contract clients can procure from us either digital outcomes, which are complete solutions delivered solely by us, or digital specialists, i.e. individual specialist exeGesIS staff to work within larger development teams.